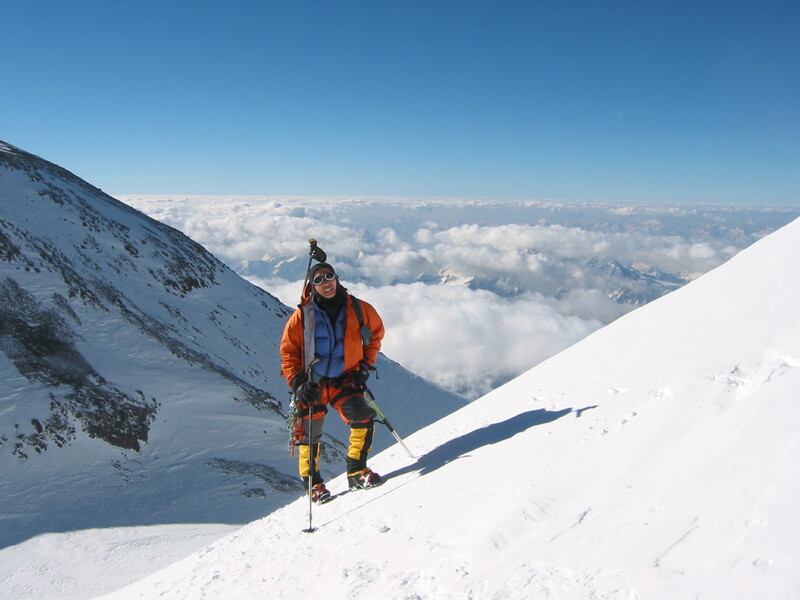 During 3 – 19 July 2003, I travelled with David Lim to Russia to climb Mt Elbrus – the highest mountain in Europe. 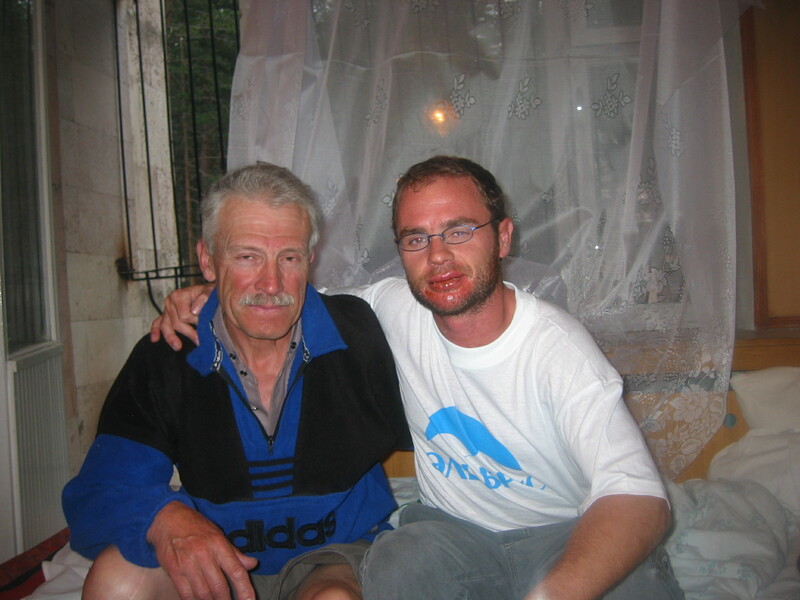 We hired a guide – an older Russian chap called Rudolph, who spoke very limited English, had bad breath but other than that, we got on very well! 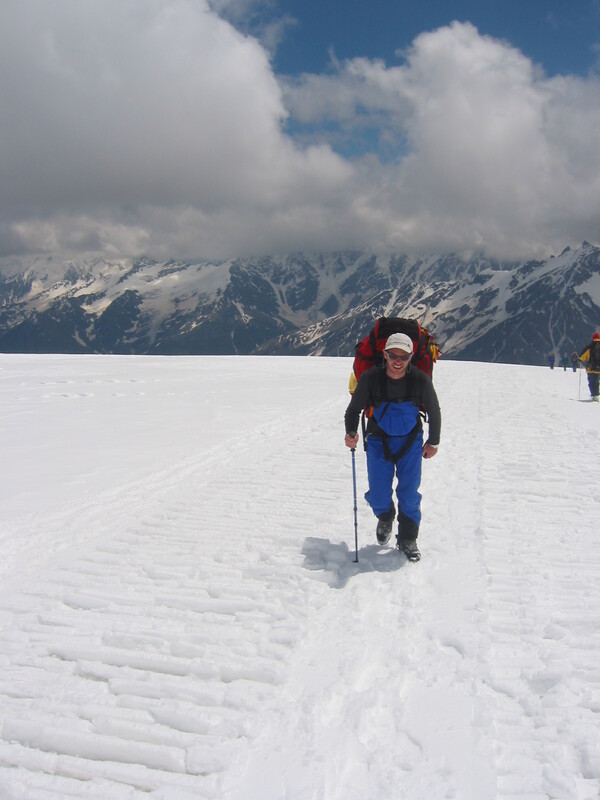 Elbrus is technically very easy, a snow plod basically, but the weather can make it hard work. If you stray off the route be careful also. It always catches out a few people who die on Elbrus (I read as many as 25 per year??). The week before us, two Canadians disappeared, presumably down a crevasse. We chose the standard route up from the South,but opted to carry a tent and stay in this instead of the huts. 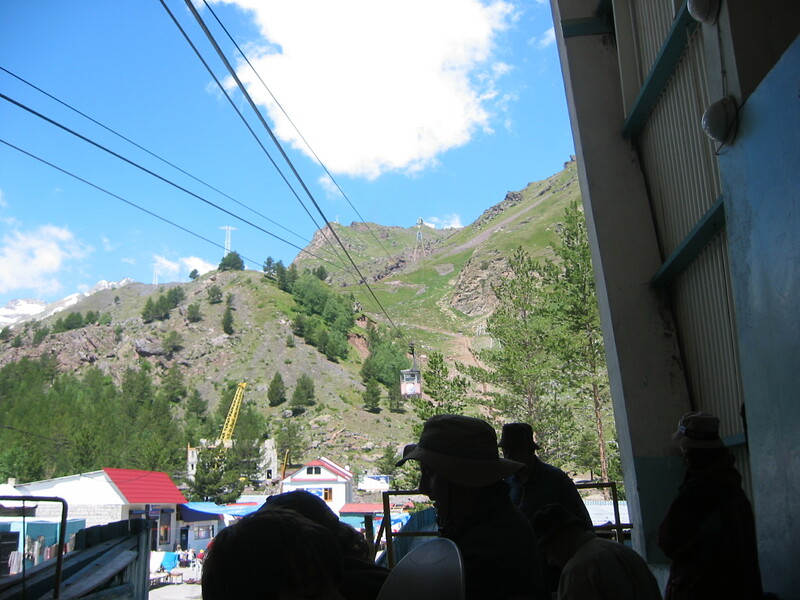 We took the cable car and chair lifts to Garabashi (also called the Barrels because of the barrel shaped huts here) at 3600m. We walked from there up to 4250m where we pitched our tent. We had previously acclimatised in an area close by known as the Juntokan Glacier. Here we set up a small basecamp at 2850m and made some day walks to acclimatise. 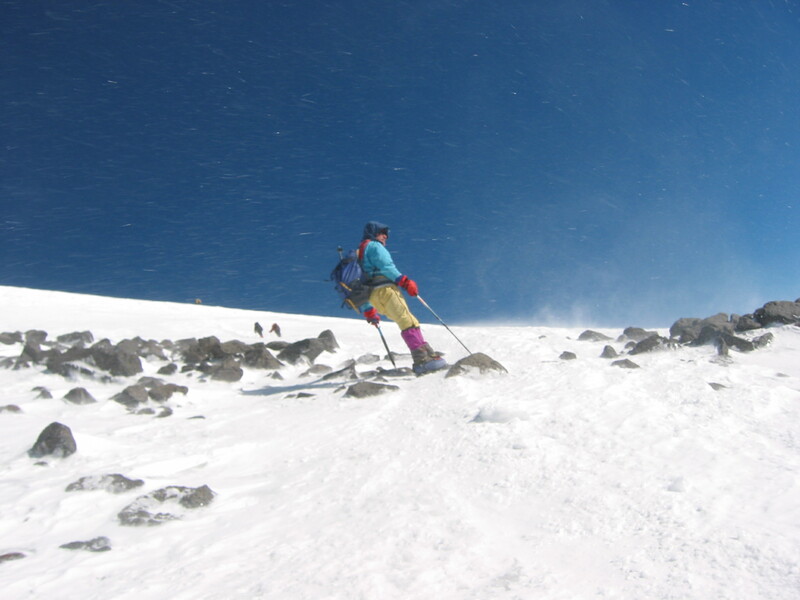 Hence on Elbrus we used one rest day for acclimatising only at the 4250m camp then went for the summit. 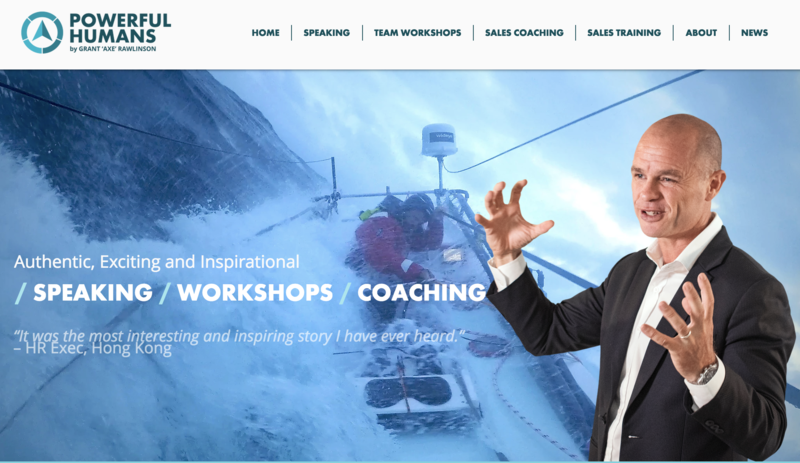 Dispatches and photos from the expedition can be seen at David Lim’s website by clicking here. 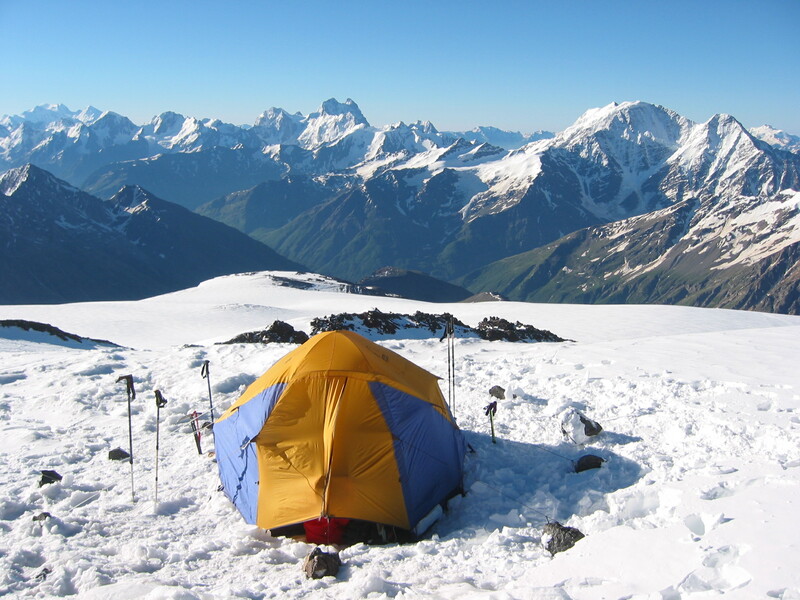 Mt Elbrus is an extinct volcanic cone situated just north of the main Caucasus range. It has the twin summits, is glaciated, and the highest point in Europe, depending on whether or not you agree anything west of the Urals is Europe! Elbrus lies in the Russian Republic of Kabardino-Balkaria. 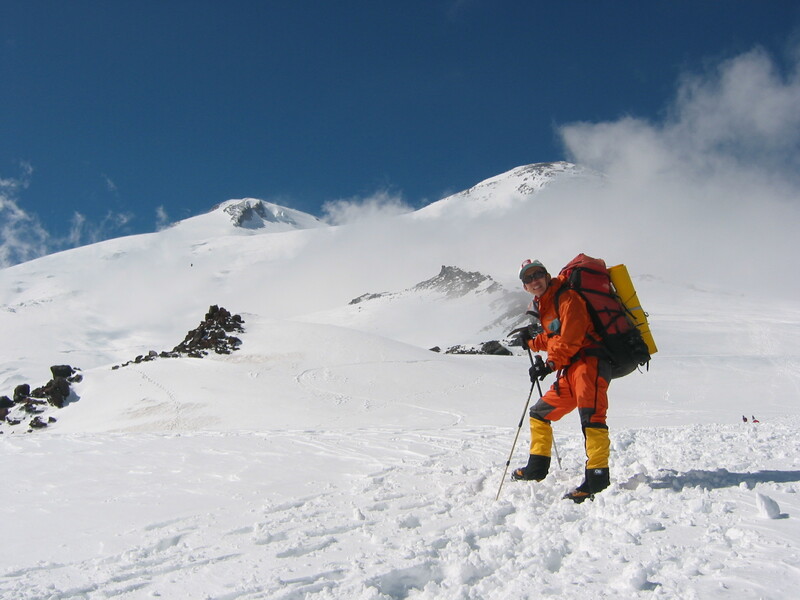 Its east summit was first climbed by the Kabardinian Killar Khashirov in 1829, who was employed as a guide by a Russian army scientific expedition. 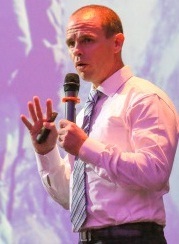 The west (true) summit, was ascended in 1874 by a Balkarian guide, Akhia Sottaiev, who climbed with the team of Gardner, Grove,Walker and Knubel. Plodding up to our campsite at 4250m. We opted to stay in a tent instead of any of the hut options. 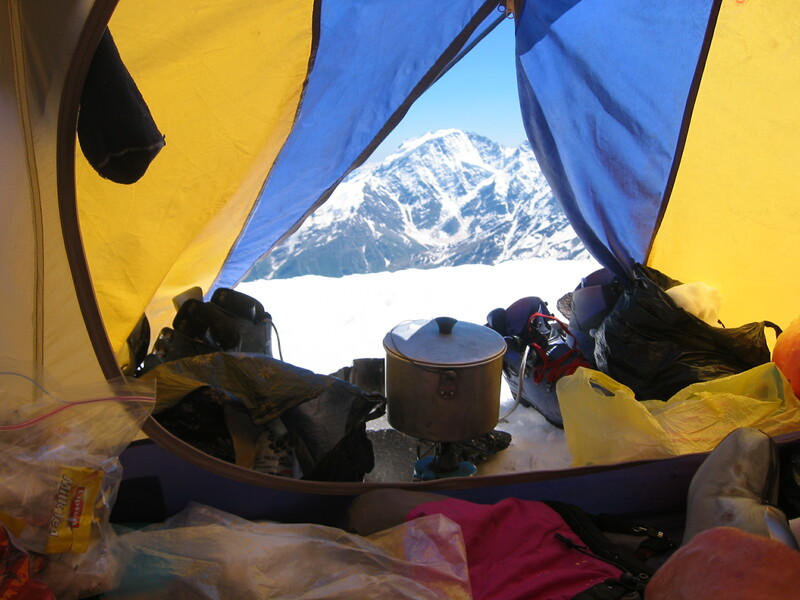 View from inside the tent – quite cosy with three of us in here. It got very windy during the night after our summit, lucky the tent was good quality and well pitched. 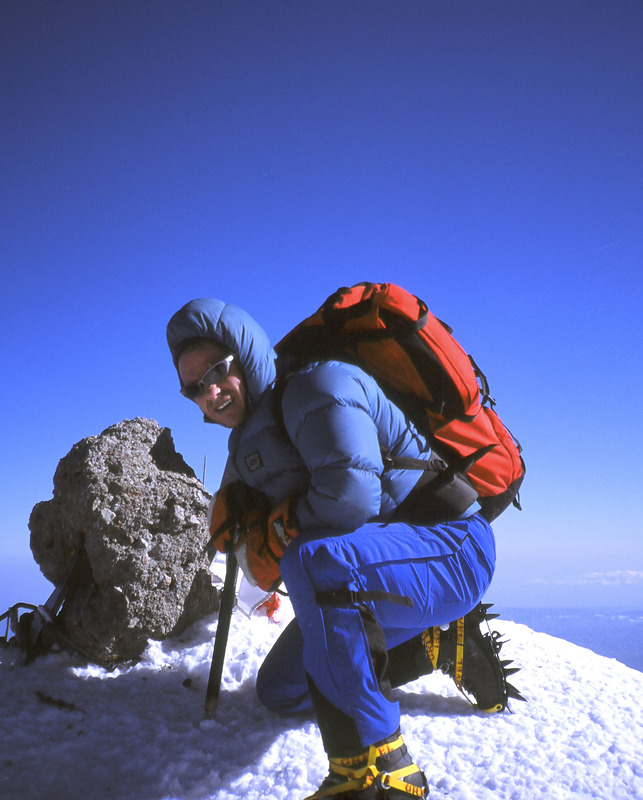 David Lim with Elbrus’s highest summit to his left. Our guide Rudolph in strong winds as we near the summit. This picture taken around 5500m.